Sound Healing frequency vibration helps to shift our state of being back to our natural state of harmony. This is frequency medicine, bringing a vibrational massage all the way down to the cellular level to unwind the mind and bring deep relaxation and inner peace. In these states of consciousness, participants may experience enhanced creative vision, self and soul learnings, and release from all things exacerbated by stress. 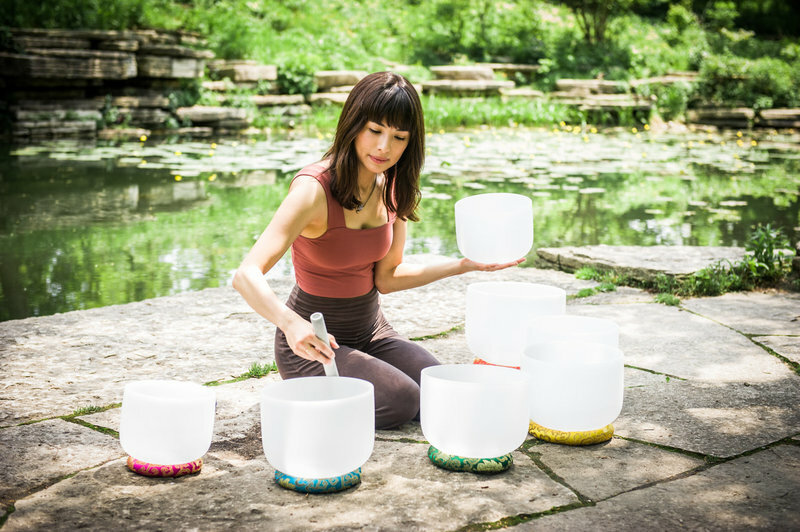 Comfortably seated or reclining, you will have plentiful time to rest, meditate, contemplate and marvel while Lisa Devi creates an evolving soundscape of crystal bowls, Tibetan bowls, Native American flutes, vocal mantra meditation, harps, chimes, and many other instruments.